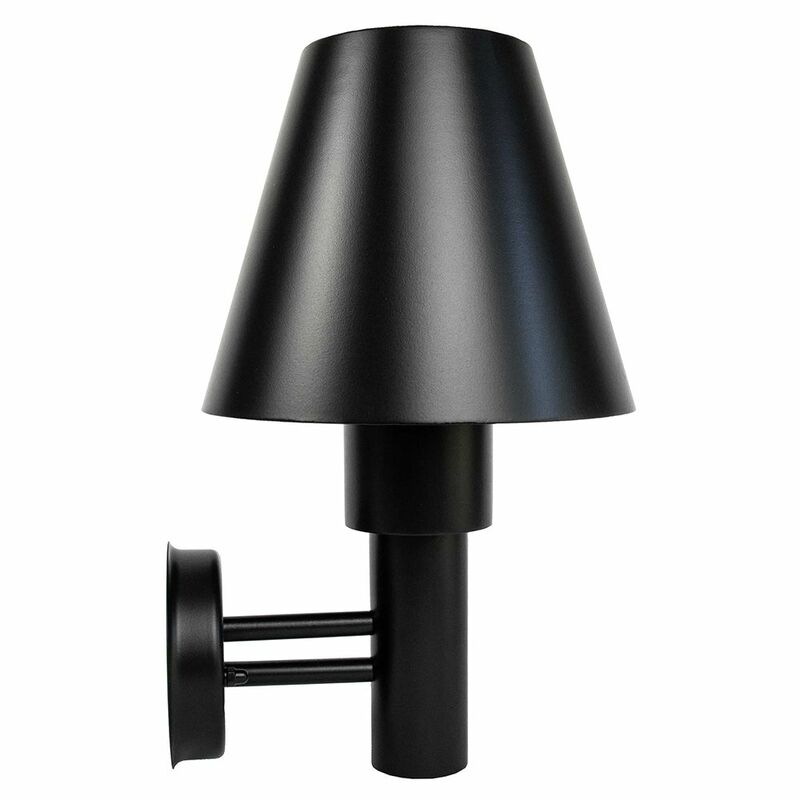 Modern and stylish IP44 outdoor wall light fitting with black die-cast aluminium body. 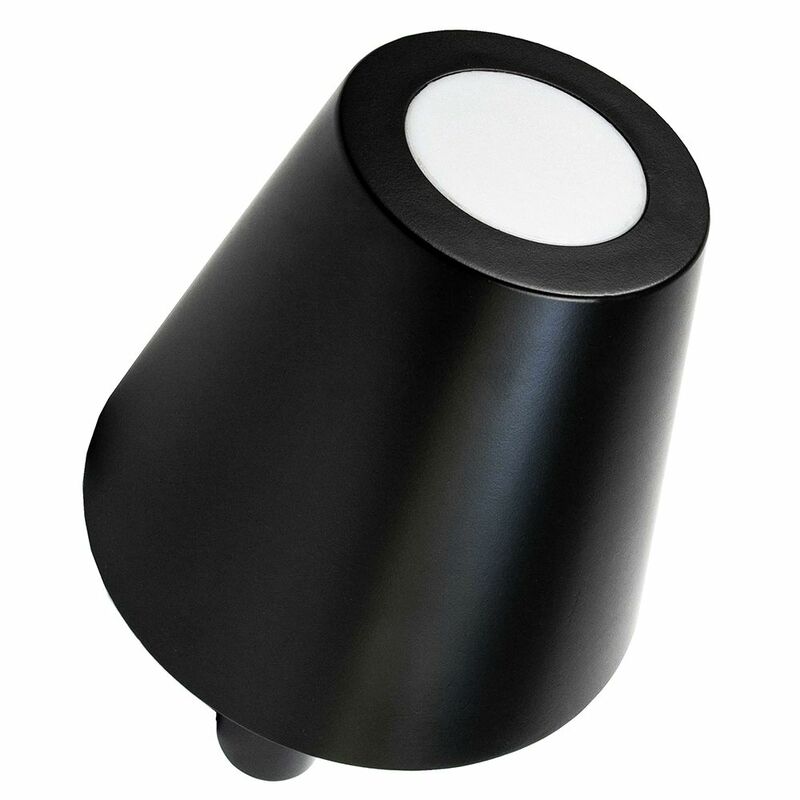 Features unique matching matt black table lamp-style shade projecting light downwards. Product measurements: Height: 37cm, Width: 22cm, Projection: 24cm. 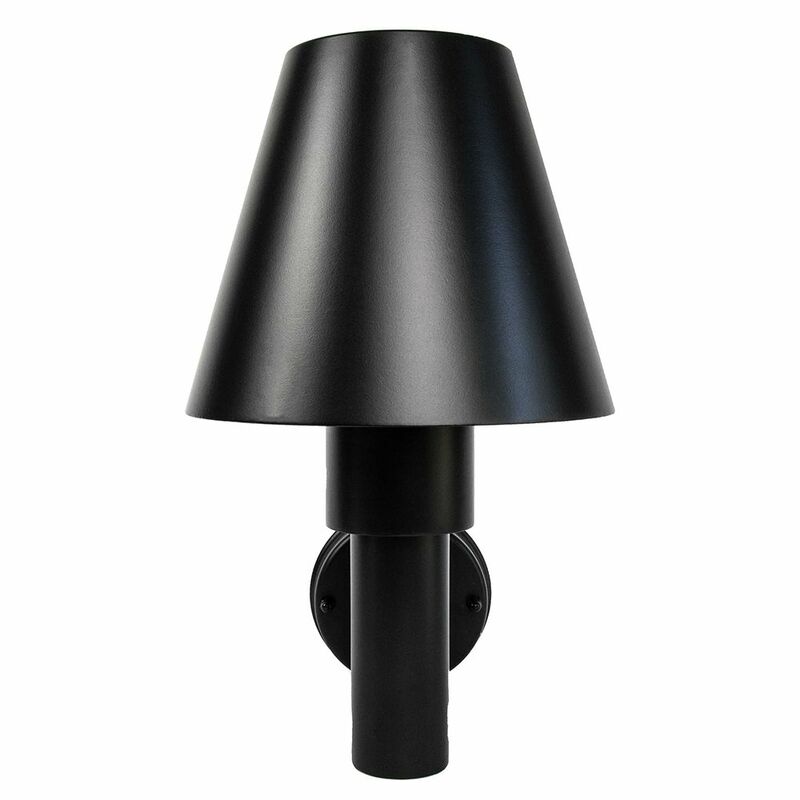 Requires 1 x 14watt maximum E27 (ES) bulb. 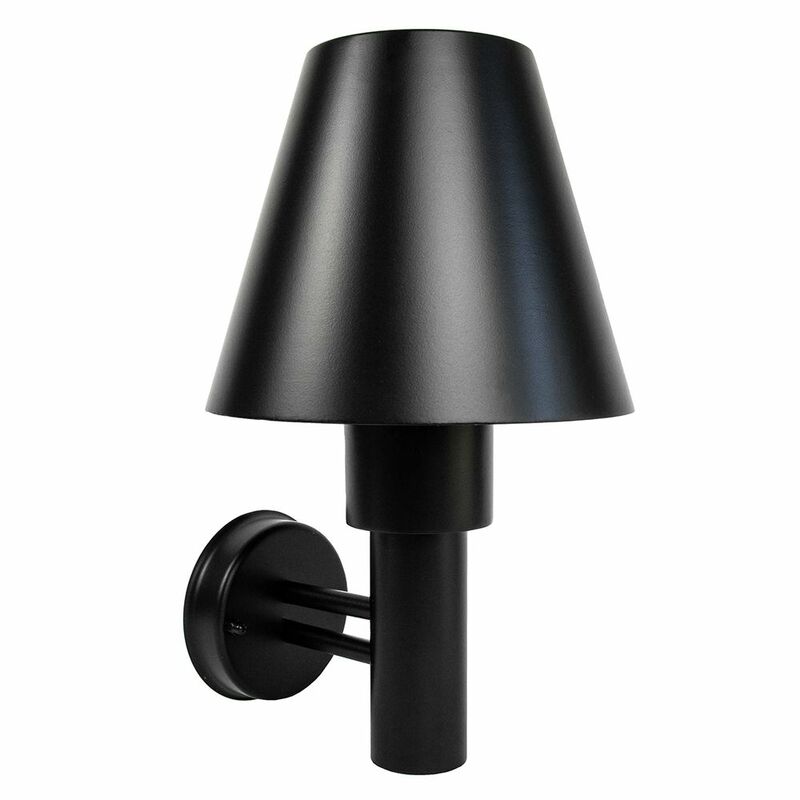 Only LED and low energy bulbs can be used in this fitting.